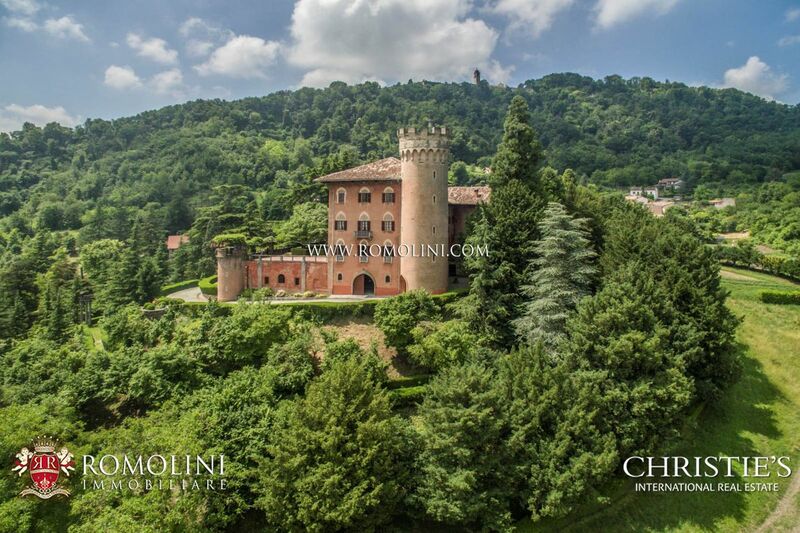 HOTEL, LUXURY VILLA FOR SALE IN MONTEPULCIANO TUSCANY. CONDITION: Completely restored. Luxury finishes. GARDEN: Yes, a wonderful Italian garden very well maintained. With paths, fountain and pond. POOL: Yes, a wonderful panoramic pool with infinitive edge. 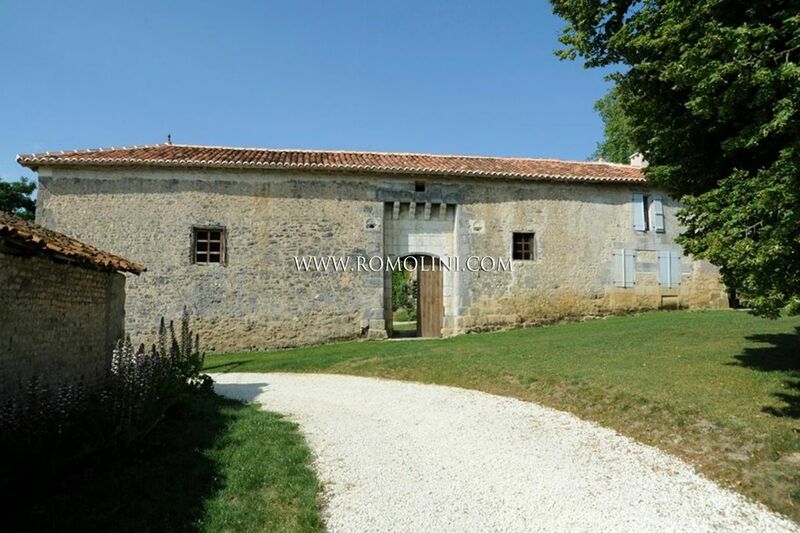 ANNEX: Yes, four annexes: a small chapel, an old wood burning oven, a converted barn and a limonaia, converted too. WATER: Yes, private well and mains water. GAS: Yes, LPG gas tank. FEATURES: Old construction, old stone windows/doors surrounds, brick-built arches, old terracotta flooring, ceilings with wooden beams and terracotta tiles, old stone fireplace, exposed bricks, frescoed celings and walls. Air conditioning system. 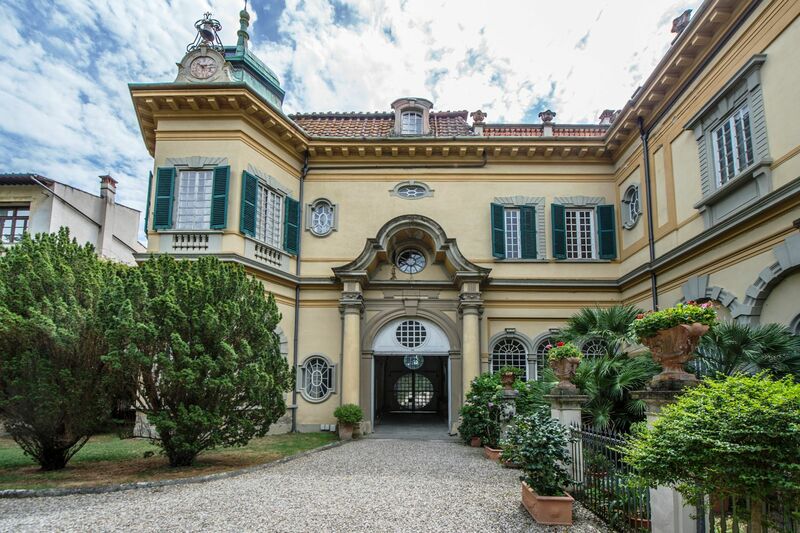 Villa Montepulciano takes its name from the famous town of Etruscan origins that it overlooks, witness of the passage of famous artists like Luca Della Robbia and Duccio Da Buoninsegna, who made it important conquest of Florence during the XVI Century. 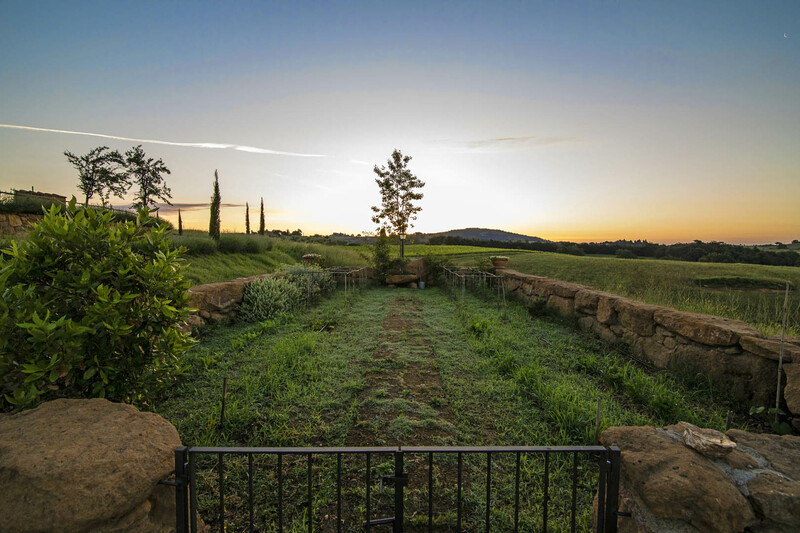 The origins of this wonderful property date back to the Etruscan period, when it said the subterranean passages, that now are part of the cellars, belong to. 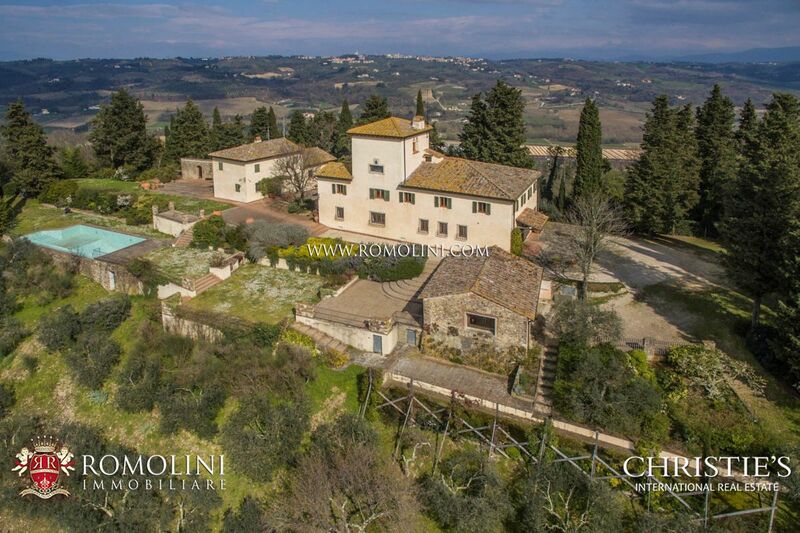 Set among the most beautiful towns of centre Italy: Montalcino, Pienza, Cortona, San Gimignano and Siena, the Villa lies on a fantastic position, although being close to all the amenities. Villa Montepulciano is composed by a main body (The Villa) and three detached annexes which made 1000 square metres in all. Immersed in a wonderful Italian garden, which has been perfectly maintained by the current owners and where anyone can enjoy peaceful and relaxation by reading a book or simply admiring the wonderful panorama, the Villa is a rare beauty jewel which during the Renaissance has made rivals some of the most important families. This is confirmed by the frescoes and armorial bearings depicted in the façade of the building. The house is set on four levels. On the lower ground floor there are some cellars with tasting room and rustic restaurant with kitchen. Furthermore, here there is a independent apartment with outside entrance composed of: dining room, kitchen, bedroom and bathroom. The ground floor, where the main entrance is located, comprises a large reception with frescoed ceilings, living room with fireplace and small closet. On the right handside of the entrance we find two suites composed by: double bedroom, living room and bathroom. Still on the ground floor a staircase leads to the cellars. On the first floor, instead, we find two double bedrooms with bathroom, a suite composed by: double bedroom, living room and bathroom, and a closet. The second floor, finally, comprises three double bedrooms with bathroom. This level has a rustic style: the ceilings have exposed beams and terracotta tiles and the floors are in parquet. The ground and first floor, instead have frescoed ceilings and terracotta flooring. 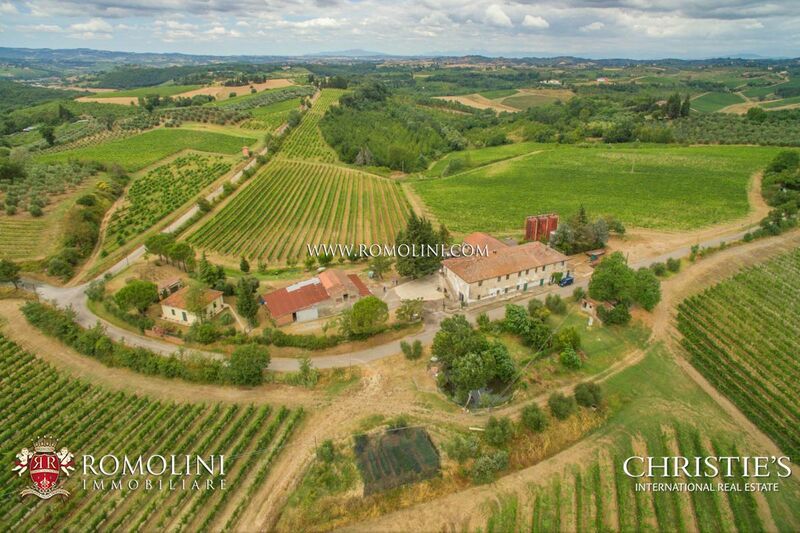 Next to the main Villa there are three annexes: a small church, a limonaia and an old wood burning oven with pergola. 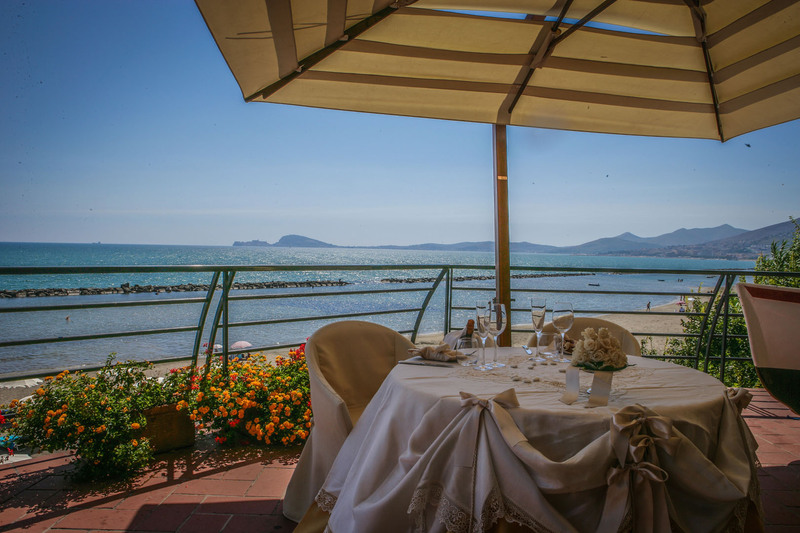 The limonaia is composed by a restaurant with professional kitchen and powder room and by an independent apartment with living, kitchenette, dining room, bedroom and bathroom. In the other annex, a converted barn, there is another independent unit composed by: living room, two double bedrooms and bathroom. 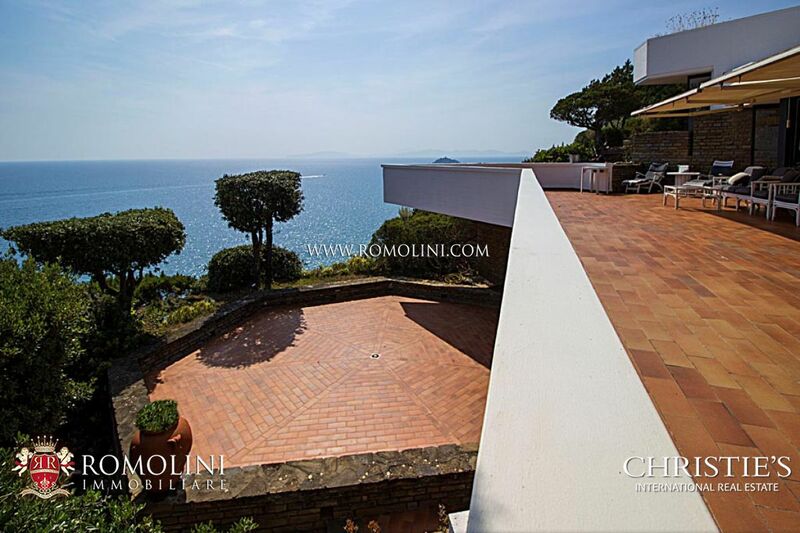 The property is totally surrounded by an Italian garden with many types of flowers, a fountain, a pond a wonderful pool with infinitive edge and Jacuzzi bath tub. Under the swimming pool there is a 60-square metre storage room that can be converted into a SPA. 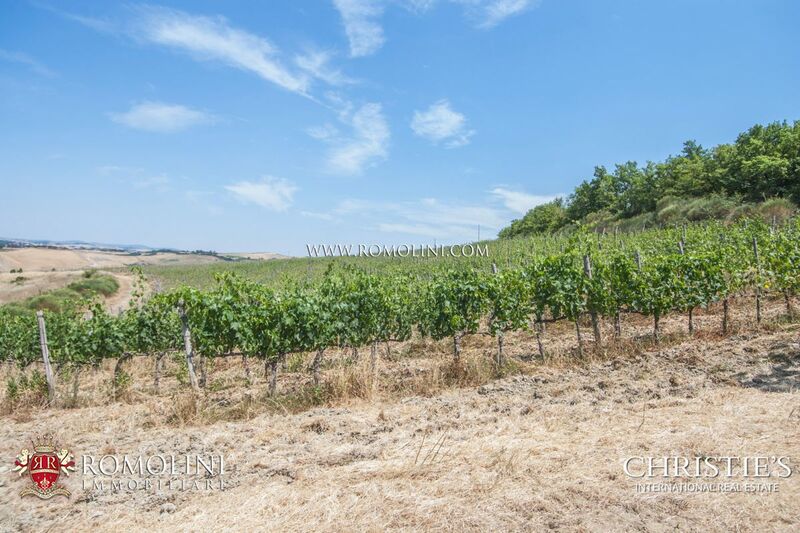 The property is completed by 2 hectares of land with 450 olive trees and a small vineyard. Montepulciano: a Renaissance jewel whose imposing sixteenth-century palazzi that line the main street were designed by the most eminent architects of the time: Vignola, Michelozzo and Antonio da Sangallo. The numerous churches and the museum contain works of art by Della Robbia, Taddeo di Bartolo, Vecchietta and Duccio da Buoninsegna. With its characteristic irregular shape, Piazza Grande, the town’s monumental centre, opens up on the top of the hill. The facades of the buildings in different styles prevent the architecture being monotonous and yet are at the same time harmonious. 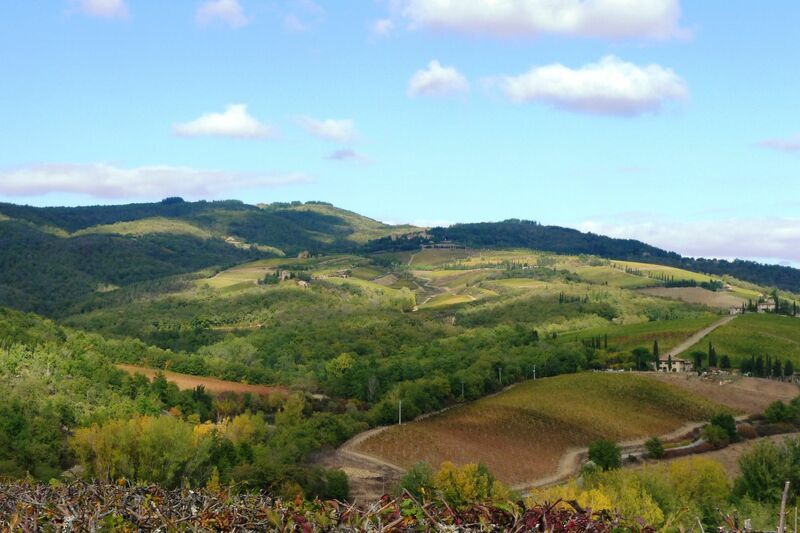 There are panoramas where you can gaze over the Val d’Orcia to Monte Amiata, Lake Trasimeno and the Valdichiana. Pienza : built with marvellous stylistic harmony, it is a perfect example of Renaissance urbanisation, born of pope Pius II’s desire to build an ideal town. 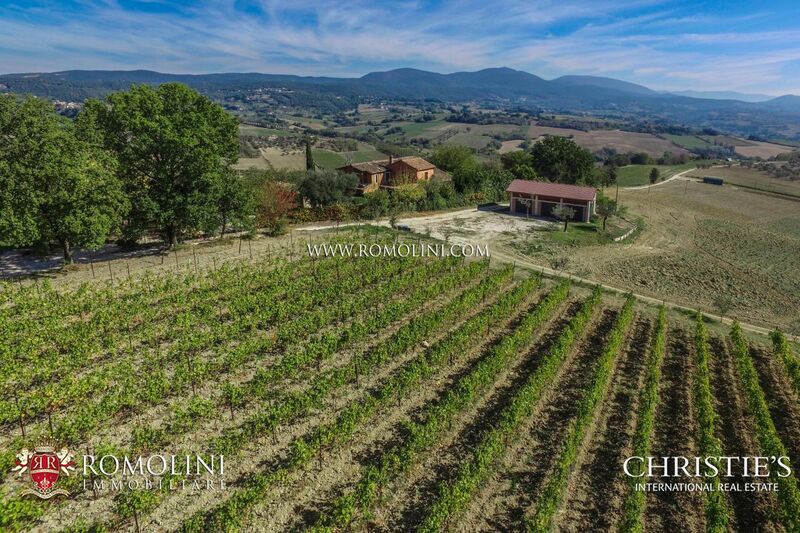 Montalcino : clinging to a hillside, it preserves the XIII century fortress and is famous the world round for its red Brunello wine. Cortona : the Etruscans, Romans, Goths and Tuscan Grand Duchy left artistic and architectural testimony of their passage. The land of artists and religion, it lies on a hilltop surrounded by olive trees. extraordinary city of art where the past and present combine and blend together, where tourists forget the modern world to step back into the XIV and XV centuries. Arezzo : the historical centre is on a hilltop in the heart of a fertile area rich in orchards, fields of cereals and vineyards. 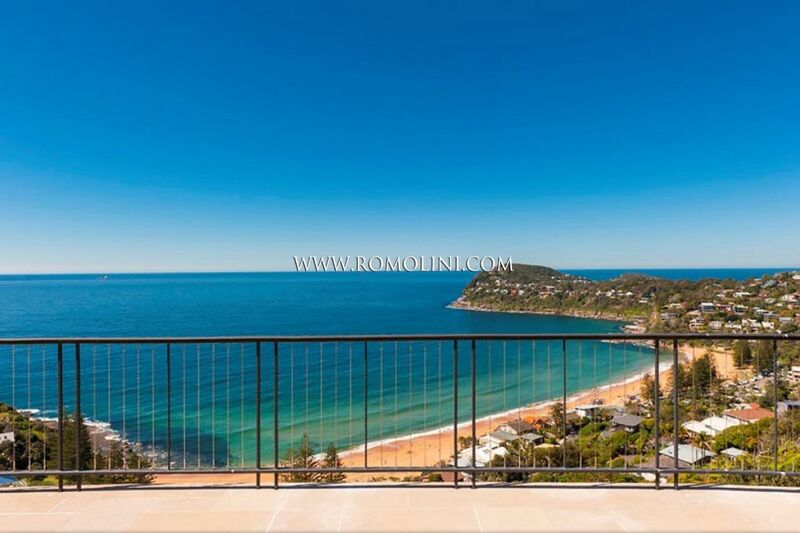 While strolling along its streets, tourists discover pleasant views over the town and the surrounding area. prestigious city of art, the home to Dante and cradle of the Italian language. Located on the River Arno, it is surrounded by marvellous hills illuminated by an amber and ethereal light that has inspired the greatest of artists. Assisi : A great part of these places’ artistic charm derives from the spirituality linked to Saint Francis which permeates a city of art with its medieval appearance still intact. Montepulciano. Pienza (13,9km; 13’); Castiglione del Lago (26km, 25’); Cortona (33km; 33’); Montalcino (37,2km; 38’); Arezzo (52km, 44’); Siena (60,6km; 1h); Perugia (67km; 53’); Assisi (85km; 1h 6’); Grosseto (91km; 1h 33’); Spello (93km; 1h 13’); San Gimignano (100km; 1h 33’); Firenze (109km; 1h 11’); Gubbio (111km; 1h 27’); Roma (179km; 1h 51’); Pisa (200km; 2h). 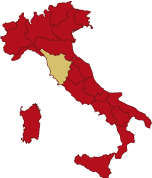 Perugia Sant’Egidio (75km; 56’); Firenze Peretola (123km; 1h 17’); Forlì (185km, 1h 22’); Roma Ciampino (190km, 1h 51’);Roma Fiumicino (206km, 2h 2’); Bologna Marconi (213km; 2h 1’); Pisa Galilei (215km, 2h 2’); Rimini Miramare (217km; 2h 34’).